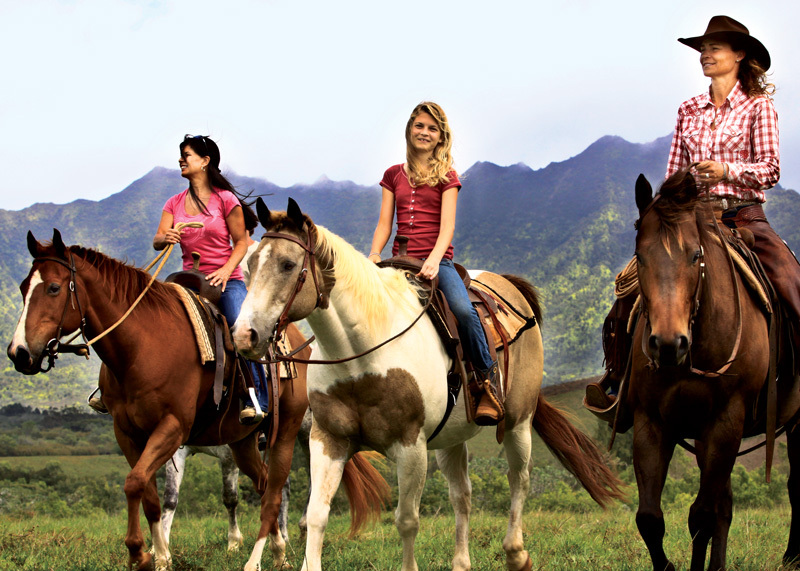 There is a lot of history and adventure to be enjoyed at Princeville Ranch Adventures in Princeville, Hawaii. 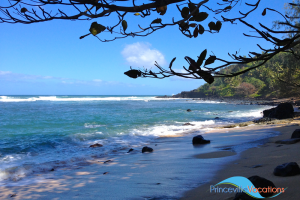 Princeville Ranch was one of the first cattle ranches in Hawai’i, established during the reign of Kamehameha III. 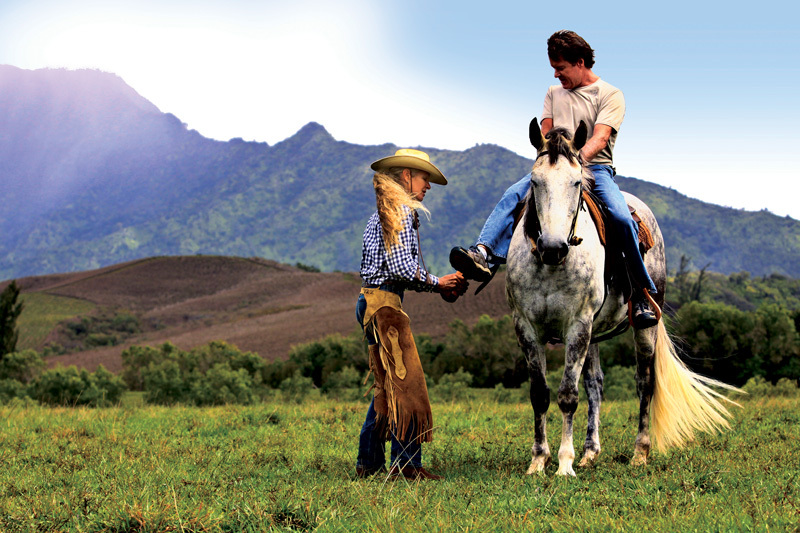 Cattle roamed these lands 20 years before ranches and cowboy traditions developed in the great American West! 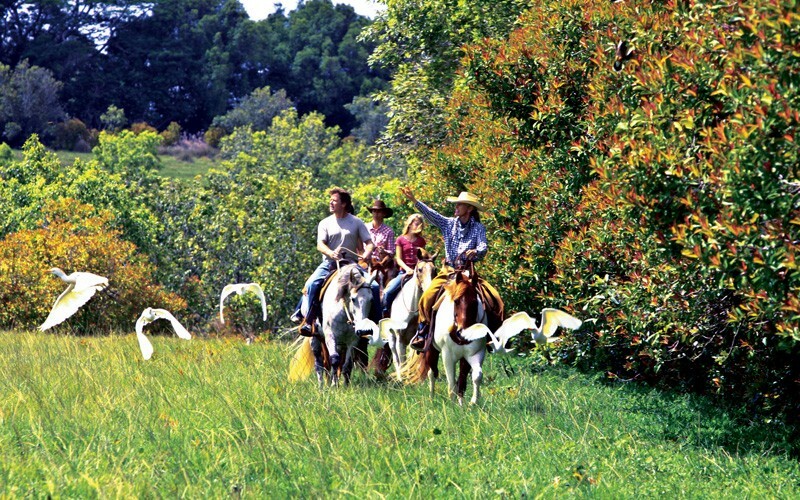 These days the horses still roam Princeville Ranch but they also ride secret trails to hidden swim holes! 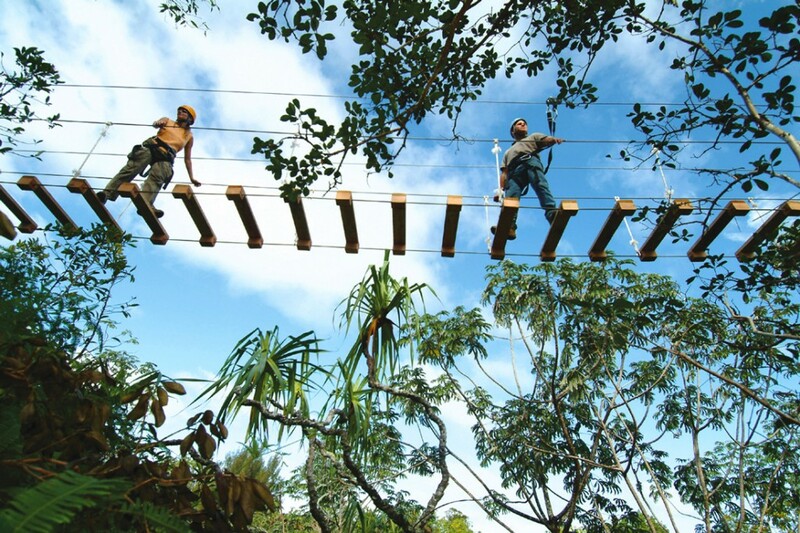 There are cool ziplines too. 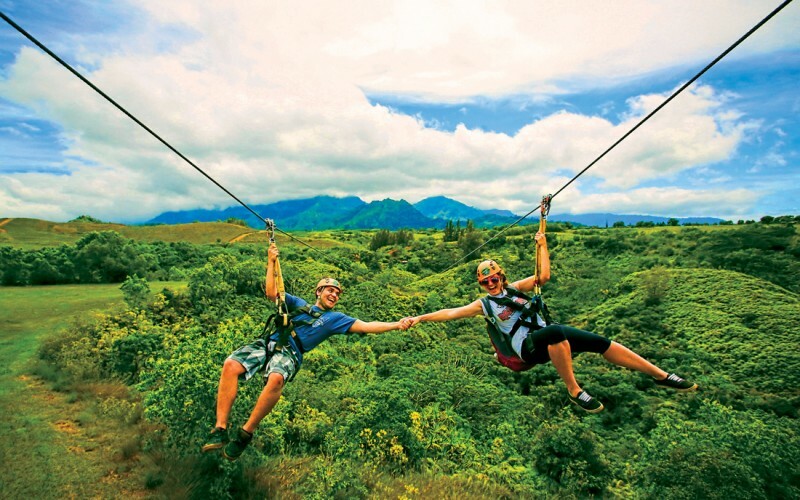 Be sure to check out King Kong – their side-by-side zipline that you can enjoy with someone. 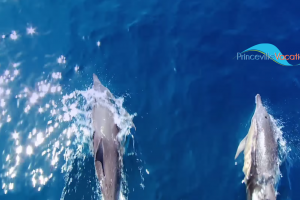 Word has it, screaming makes you go faster! 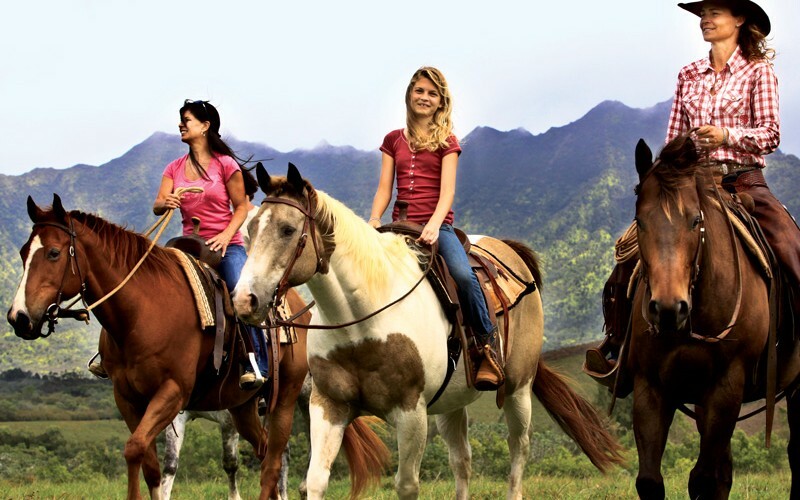 From ZIPLINING to riding HORSEBACK, Princeville Ranch has several adventure packages sure to help create memories of a lifetime for you and your friends and family. ZIPLINING on “King Kong” — two ziplines side by side. 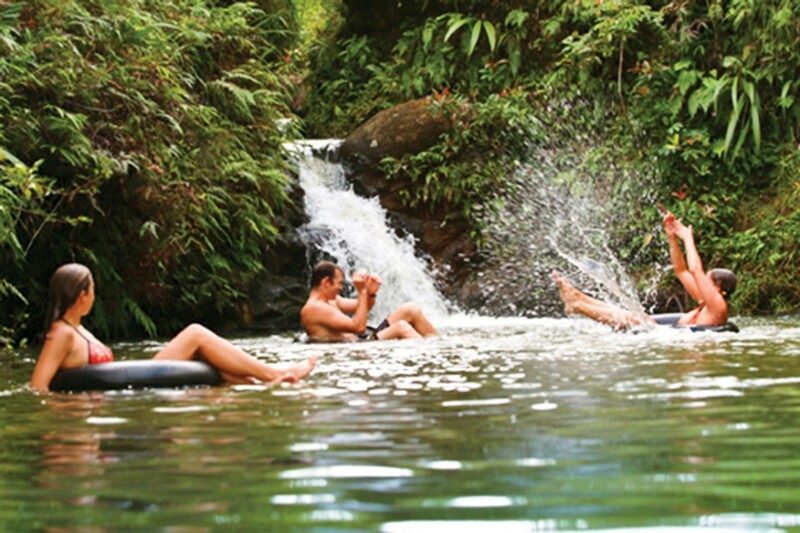 Frolic in a hidden SWIMMING HOLE on the Zip N’ Dip. 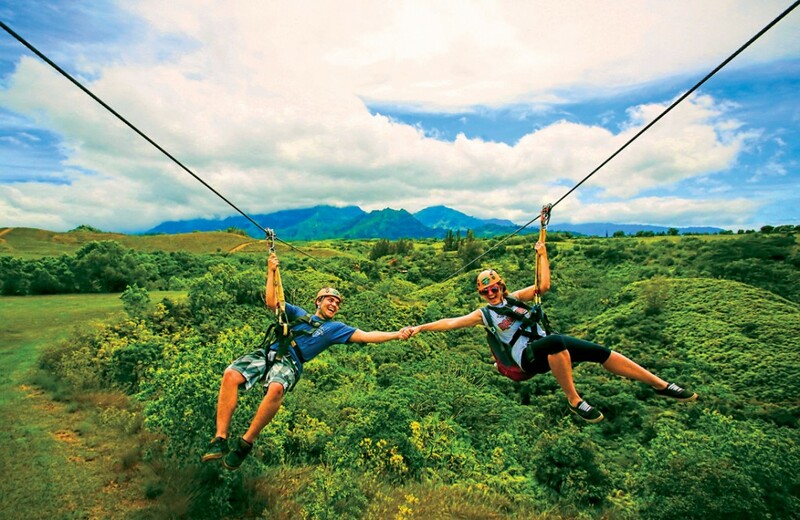 RIDE horseback and zipline on our unique combo tour – the Ride N’ Glide. 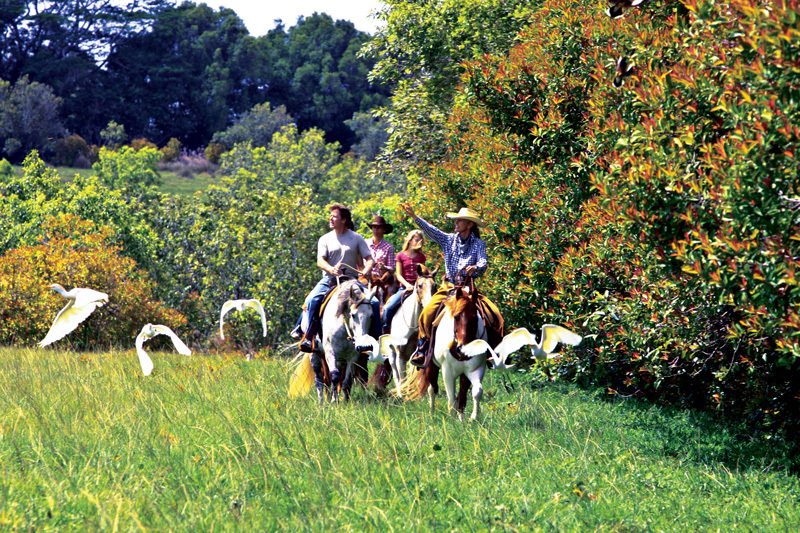 Ride HORSEBACK through our beautiful private ranch. Wander across the OPEN RANGE soaking up stunning scenery. 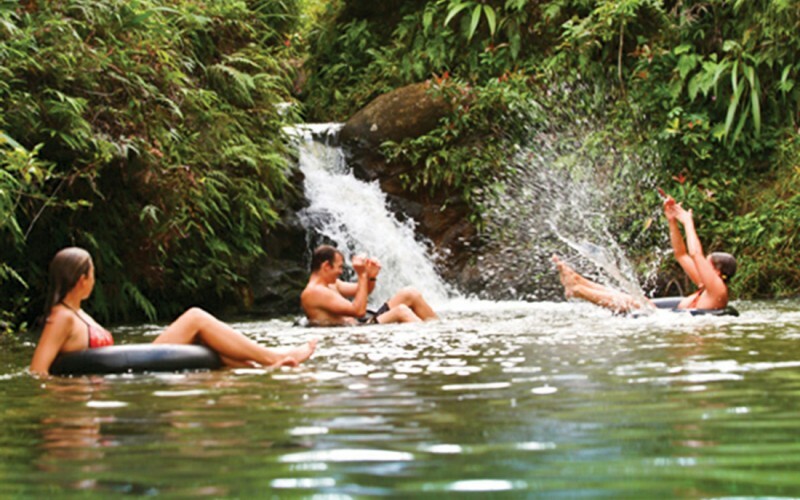 SWIM under an 80-foot waterfall on the Waterfall Picnic Ride.